Inside the rollback of online privacy protection rules. The internet sure seems mad about something. More than usual, that is. You’re right. President Trump just signed a bill into law that rolls back internet privacy protections enacted by the previous administration, and that has made things just a little angry around the ol’ internet. What kind of privacy rules are we talking about here? The previous iteration of the Federal Communications Commission created new rules last October for ISPs which stipulated that those ISPs would be required to seek customer permission before selling things like browser history data to advertisers for targeting purposes. How come that wasn’t a rule in the first place?! Right. But these rules don’t apply to companies that aren’t ISPs, like Facebook and Google, which are pretty much reliant on their ability to legally sell ad targeting information. The ISPs feel that this is unfair, and that they should have the ability to sell this information, too. The ISPs are having trouble making money all of a sudden? No no, I can wait. Oh, goodness, no – the major ISPs in this country have profit margins that would make most drug cartels jealous, and enjoy an unprecedented amount of legal protection from both private and public competition, but why let that get in the way of a good old tall tale about the unfairness of it all? Are we really even living in America if Comcast can’t leverage their captive customers’ personal information into even more money every year? Can you maybe calm down a little? Yes, sorry. But it’s difficult to overstate how little gray area there is on support for this measure – pretty much the only people who were for the rollback were the ISPs themselves, and pretty much everybody else who has an opinion doesn’t like it. Anyway, however you think about it, Congress used something called the Congressional Review Act to roll back the FCC’s October privacy rules. According to The Hill, that also prevents an agency from simply going back and creating the same rules over again, which seems to imply that any future FCC commissioners who want to re-introduce privacy protections won’t be able to do it without another act of Congress rolling back this CRA action. So have you got any good news? For one thing, it’s arguable how big a deal this actually is – the rules we’re talking about had yet to actually take effect, so it’s not as if things suddenly got worse. And, as mentioned, there’s a huge amount of opposition to this in the rest of the tech sector. What if I want to stay private online? Your best bet is probably a VPN – there are free options, but these generally either restrict your rates or inject ads into your content to offset their costs. Fortunately, paid options aren’t terrifically expensive and tend to be a lot more robust. Will this affect me as an IT pro? 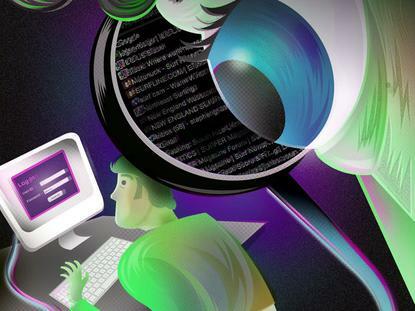 Odds are, it already has – users worried about their privacy will do a lot of silly things to try and cover their tracks, including using Tor Browser, which will probably be a big pain.